Based on the 2011 film of the same name, Amazon’s Hanna is a high-concept drama-thriller series that follows the journey of the eponymous young girl who was raised in the forest and must evade a CIA agent, all while trying to discover who she is. 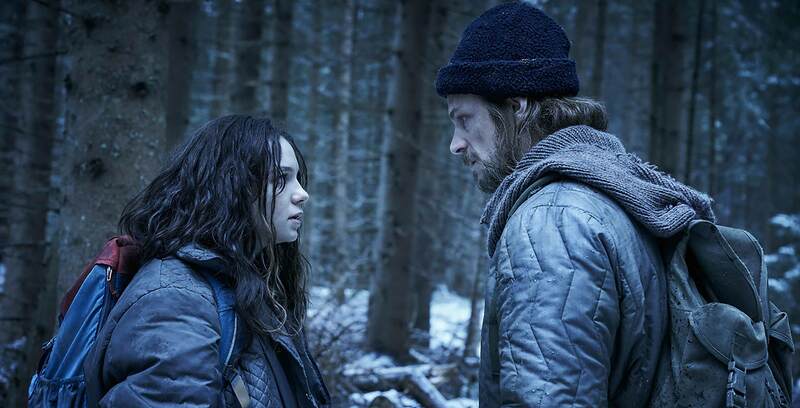 Hanna was created and written by the co-writer of the 2011 film, David Farr (The Night Manager), and stars Esme Creed-Miles (Mister Lonely), Mireille Enos (The Killing) and Joel Kinnaman (Altered Carbon). Fun fact: Nanaimo, B.C.’s Seth Lochhead wrote the original story and script for the Hanna film while he was a student at the Vancouver Film School. The full list of new movies and shows streaming on Amazon Prime Video in March can be found here. Crave now has the final episode of creators and stars Ilana Glazer (Rough Night) and Abbi Jacobson’s (Disenchantment) Broad City sitcom, meaning the entire five-season run of the series is now available for streaming on the service. The series is based on the real-life friendship between Glazer and Jacobson and follows their eponymous characters as they try to “make it” in New York. This reboot of the 2001 reality series of the same name focuses on a group of couples who travel to a tropical paradise where they must decide if they’re ready to commit to one another for the rest of their lives. The full list of new movies and shows streaming on Crave this month can be found here. Netflix’s latest Original film, The Highwaymen, follows two Texas Rangers in the 1930s as they attempt to find and apprehend infamous criminals Bonnie and Clyde. The crime film was directed by John Lee Hancock (The Blind Side) and stars Kevin Costner (The Bodyguard) and Woody Harrelson (Three Billboards Outside Ebbing, Missouri). Netflix’s zany horror-comedy series is back for its third season, once again following Joel Hammond and his zombified, flesh-craving wife Sheila. The series was created by Victor Fresco (Better Off Ted) and stars Drew Barrymore (Grey Gardens) and Timothy Olyphant (Justified). The full list of new movies and shows streaming on Netflix Canada this month can be found here. What will you be streaming this weekend? Let us know in the comments!